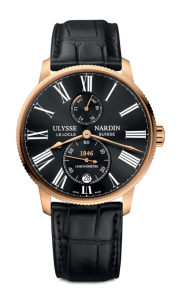 Gorgeous, polished, rose gold, 44mm case, with screw down crown, date, and Ulysse Nardin, in house, automatic movement with a 60 hour, power reserve indicator. 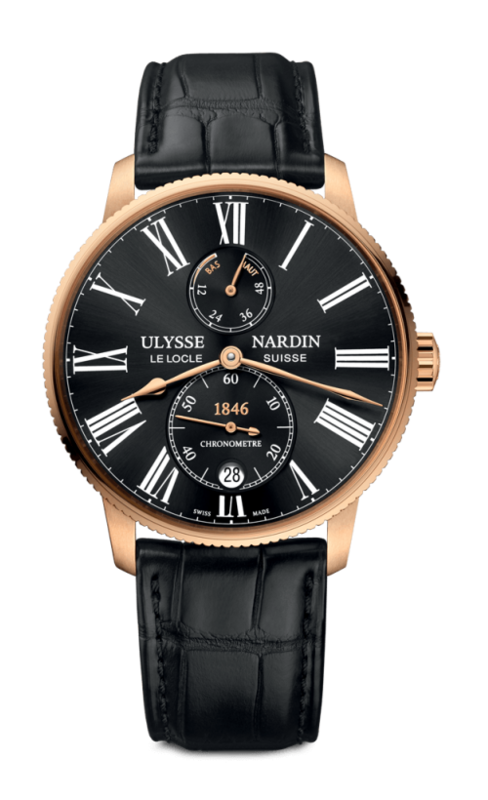 It features a glass exhibition case back, and is available on an elegant crocodile, leather strap, with rose gold folding buckle. PRICE $17,900. To purchase this watch CALL US 956.687.2981.